HistoryOfSkyscrapers.com is place where you can read all about history of skyscrapers including when and where the first skyscrapers appeared. Also, here you find the list of early skyscrapers, the most famous skyscrapers in the world and many other interesting facts about tall buildings. 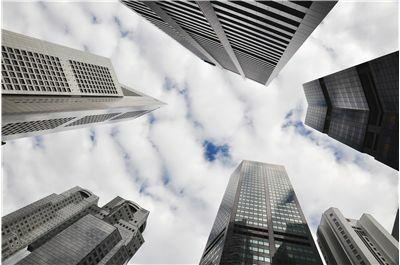 In time, design and construction of skyscrapers changed and improved, and buildings were built taller and taller. And each one has an interesting story to tell, from the smallest to the tallest. Skyscraper is a tall building that has many floors. 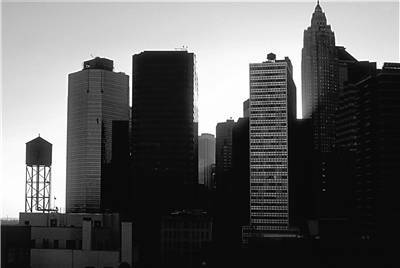 There is no precise definition, number of floors or height above which a building may be classified as a skyscraper. 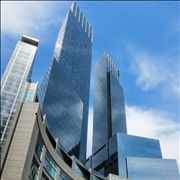 Sometimes, a relatively small building can be considered a skyscraper if it protrudes well above surrounding buildings and changes the overall skyline of the city. 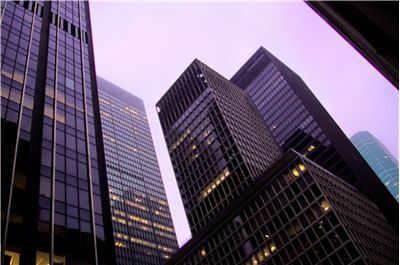 Skyscraper is usually designed for office and commercial use and has a steel framework that supports curtain walls. Before the 19th century, buildings with more than 6 floors were rare because height for climbing was too great and water pressure was usually too low for water to get to the higher floors. But from the ancient time people tried to build high structures like Great Pyramid of Giza in ancient Egypt, Lincoln Cathedral from 14th century and Washington Monument from 19th century but they cannot be considered skyscrapers because no one lives in them. Apartment buildings were built in Ancient Rome and some of them reached some 10 floors despite the height restrictions in the Imperial era. In medieval times many cities had high-rise urban towers which were built by the wealthy for defense and status but also many cities had laws that regulated maximum height of those buildings. Because of restricted land for living, in 17th century stated appearing houses with 11 floors or higher. The oldest partially iron framed building in the world, is the Flaxmill (or "Maltings"), in Shrewsbury, England. The 19th century brought some ideas and inventions that made skyscrapers possible. In 1852 Elisha Otis introduced the safety elevator, an improvement of an earlier industrial elevator that was unsafe for passengers. Peter Ellis designed Oriel Chambers in Liverpool in 1864, which was the world's first iron-framed, glass curtain-walled office building. 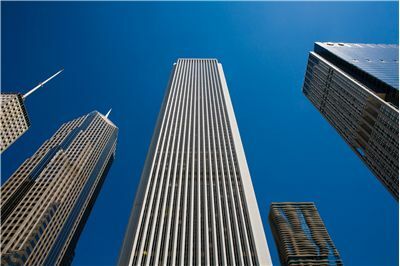 The first buildings to be called “skyscrapers” were buildings of steel framed construction of at least 10 floors that appeared in the late 19th century at the cities like Chicago, New York City, Philadelphia, Detroit, and St. Louis. The first steel skyscraper was the Home Insurance Building in Chicago, Illinois that had 10 floors, was 42 meters tall and built in 1885. 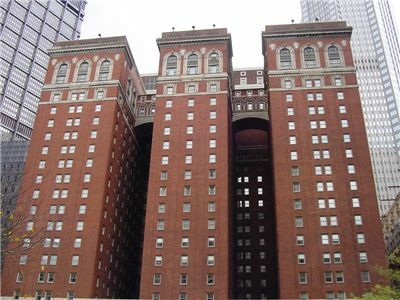 Some other initial skyscrapers were 10-storey Jayne Building (1849–50) and New York's seven-floor Equitable Life Assurance Building, built in 1870. In time cities started competing in who will have the tallest building. 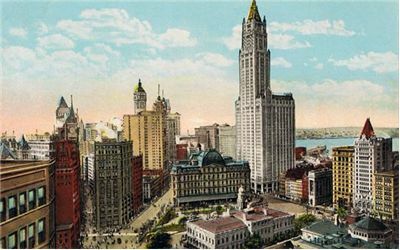 First competing towns were Chicago and New York City. 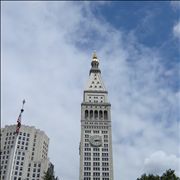 New York began the race in 1895 with the completion of the American Surety Building, and it held the title for many years. 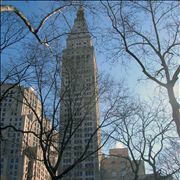 In New York City developers also competed among themselves, and made some world's tallest buildings in the 1920s and early 1930s. Chrysler Building was finished in 1930 and the Empire State Building in 1931 which held the title of the world's tallest building for forty years. World Trade Center became the world's tallest building in 1972 when its first tower was completed. 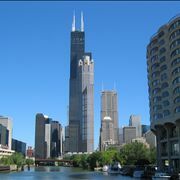 In two years the Sears Tower (now Willis Tower) in Chicago became the tallest building and held that title for 24 years, from 1974 until 1998.Then it was surpassed by Petronas Twin Towers in Kuala Lumpur, which held the title for six years. 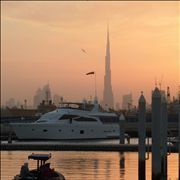 Today’s tallest skyscraper is Burj Khalifa in Dubai, finished in 2010.